For Novak Djokovic, winning the prestigious Wimbledon tennis tournament on Sunday might have been something like routine. He won Wimbledon three times after all. At Trisolute Software, we are celebrating a premiere. 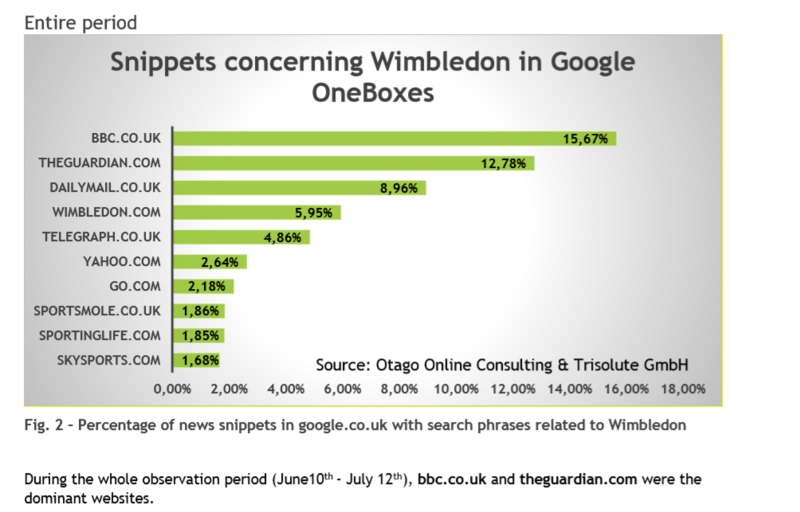 Our colleagues of Otago Online Consulting did the first study of online coverage of the famous Centre Court in five European Countries, based on Trisolute News Dashboard data. Which online media have managed to rank in Google News and the News boxes in the different European countries for the event´s keywords? 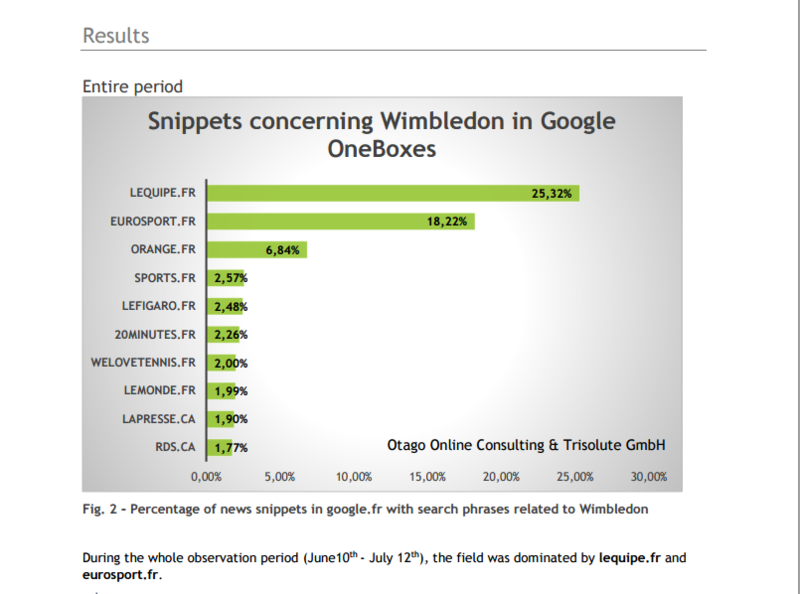 Here are two examples from the analyses our colleagues of Otago Online Consulting did. We recommend that you review the complete analyses for five european countries.